August was a busy month for providing the full day and night wedding dj package, which includes the entire entertainment from the meal to the last dance. We started the month by providing the wedding Dj disco in Radisson Blu Sligo,followed by a full night wedding disco at The Shelbourne Hotel, Dublin with the first until last dance package. We then moved on to Tulfarris Hotel, Blessington, Co Wicklow, where we provided a full day wedding Dj package with our ceremony package added on, where we provided music during the civil ceremony, background music and introduction music for the meal followed by the full nights wedding disco from last dance till last dance of the night. 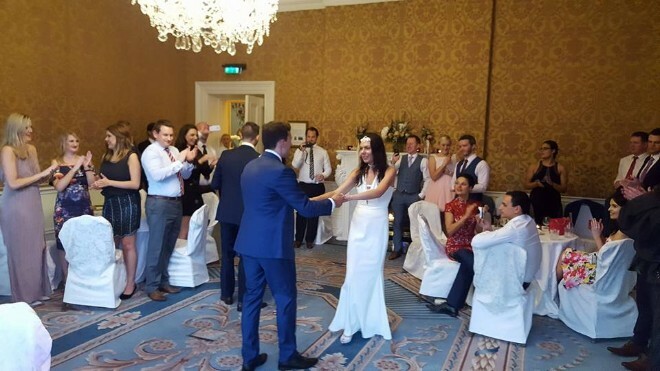 Another full day wedding Dj package followed in Castlebar, Co Mayo at The TF Royal Hotel followed by a wedding disco at Brooklodge, Macreddin Village, Co Wicklow.